Good one! 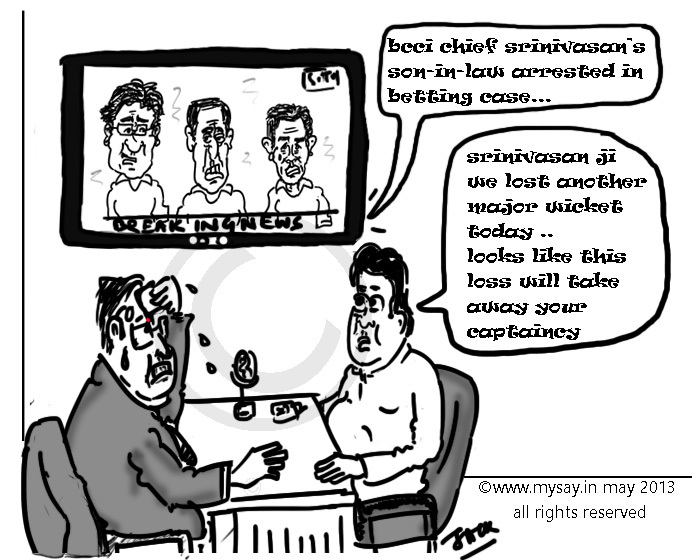 IPL fixing news is going to rage for weeks… Awaiting more of your brilliant creations on this. there is a Jagan angle in this also…. is it ?? Jagan of all ? ?